This social media welcome extended to our first couple of days here where school principals were asking if we could visit them. Even the students at one secondary school we anxious to have a school assembly to welcome us and they insisted that all of them get in the picture. Africans are generous and excited about welcoming visitors. They extend that greeting to me but it feels more like family to me in so many East African communities. I have a theory that there is some of my DNA that recognizes this as a place of my ancestral origin. If Monarch butterflies can find their breeding ground in Mexico without ever having been there or salmon can swim back to their birthplace to breed, I am sure that there is some little chemical part of my genes that know this as the place where my genetic being began. Over the next three weeks I will visit at least ten communities and will try to share some photos of my visits. On Friday we went to the St Catherine School to open a new classsroom building and to the Ramula Secondary School where we constructed a new kitchen several months ago. Both are well maintained and are serving the students and teachers well. 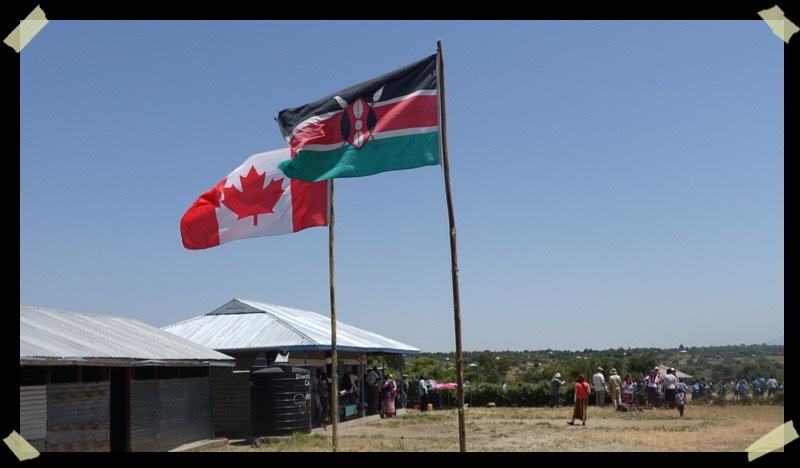 They are all grateful for the support of the many donors to the CanAssist African Relief Trust that have made these improvements to their communities possible. 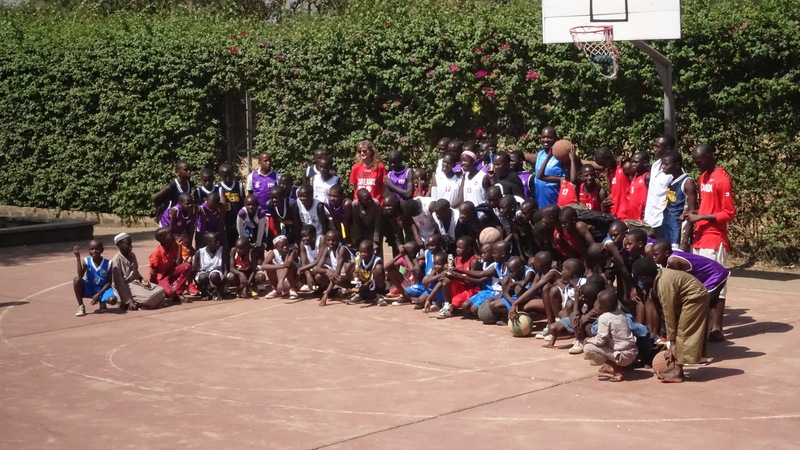 Yesterday we attended a basketball tournament in Kisumu – food for another longer story. Stay tuned. Today we are heading to “the rural” for an overnight with Dan Otieno’s grandmother, Ann. How fortunate I feel to be able to experience this association with my numerous African families. 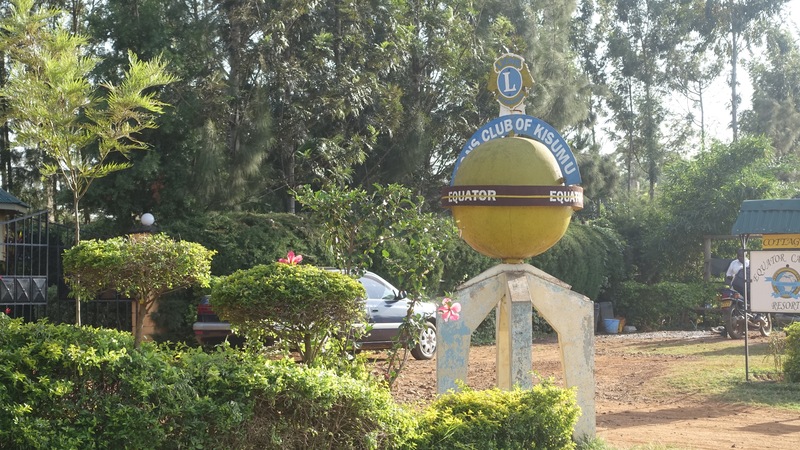 We cross the equator every day going from Kisumu to Ramula. 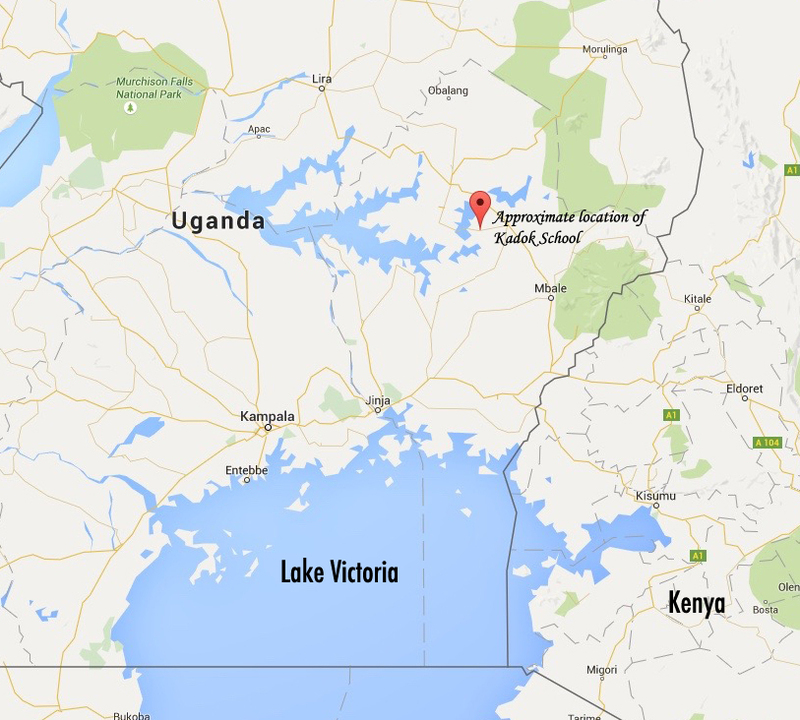 In fact the Ramula Secondary school is situated on the Equator! 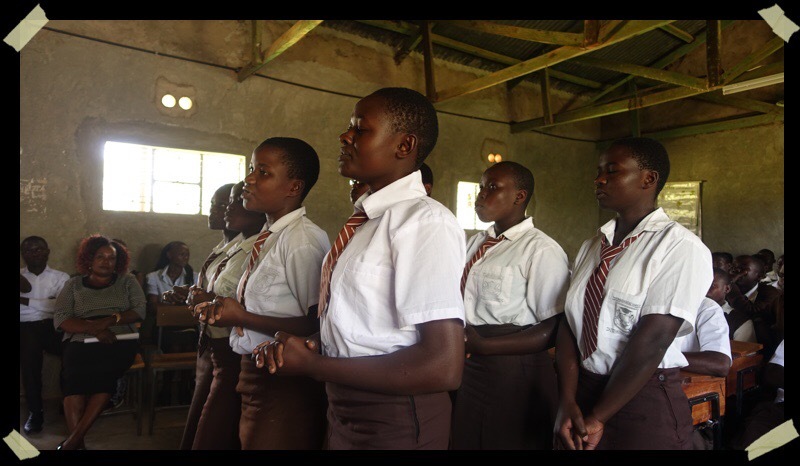 These are the students at Ramula Secondary School, taken near the water tanks, installed with CanAssist donor support. 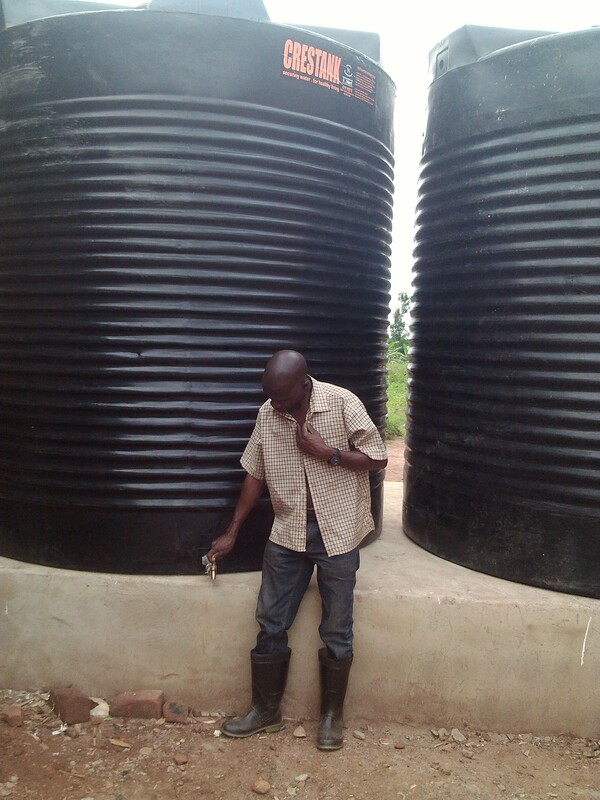 Before these tanks were put in, the water for the school was brought in by donkey from a stream. 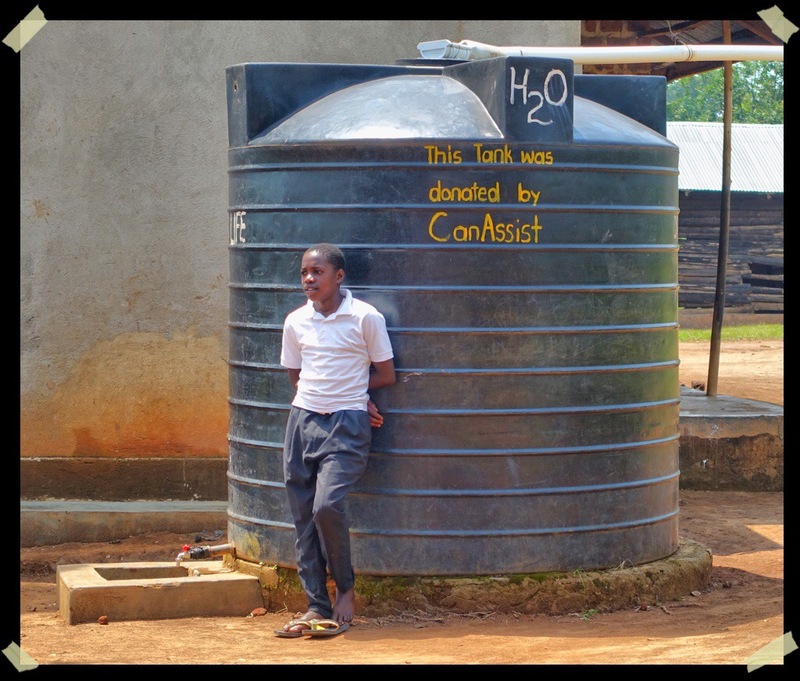 The student have much less gastrointestinal illness with this clean water available. 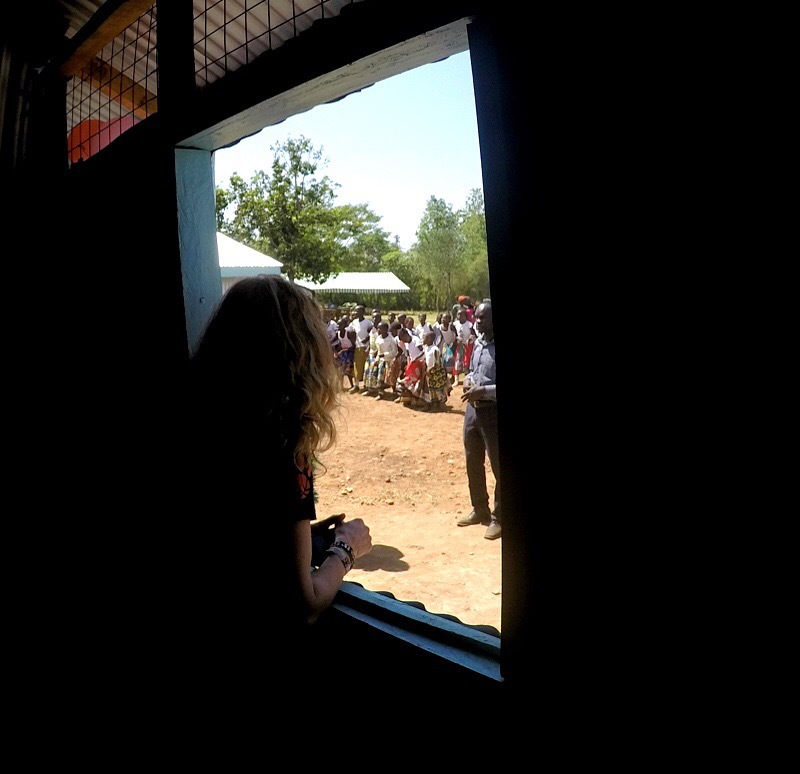 Nancy looks out through the window of one of the new classrooms at St Catherine school as the kids sing and dance in celebration in the yard. When I visited this community two years ago there was nothing here. The kids learned under a tree. 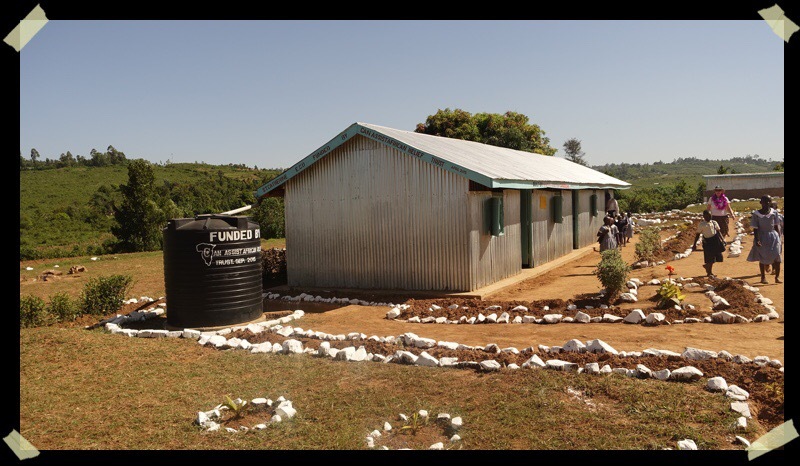 Now there are six classrooms, an improved latrine, rainwater catchment and school furnishings at the St Catherine school, thanks to the support of CanAssist donors. Signing the guest book at St Catherine School in the principal’s office. The last time I signed a document here it was in his office on a table under a mango tree. Cutting the ribbon to open the new classroom at St Catherine school with a butcher knife. No scissors available. Safari 2016. Part 11. Winding up. On the last two days of our safari we visited yet another two schools in Uganda, the Kyabazaala Elementary School near Kayunga and Hope for Youth, near Mukono. 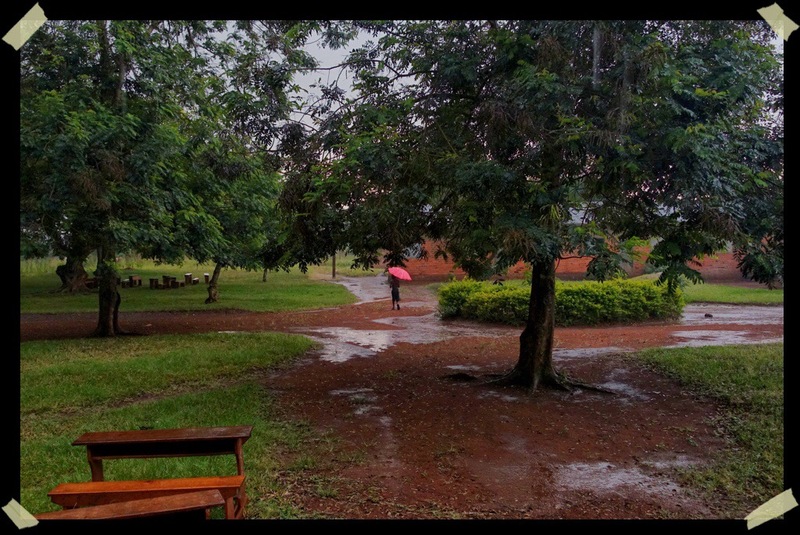 We experienced a torrential rain at the Kyabazaala School which slightly cut short our outdoor festivities but had us huddle with a gaggle of students, teachers and parents in a classroom under the tin roof. A memorable downpour of fellowship and much appreciated water to fill the water tanks. 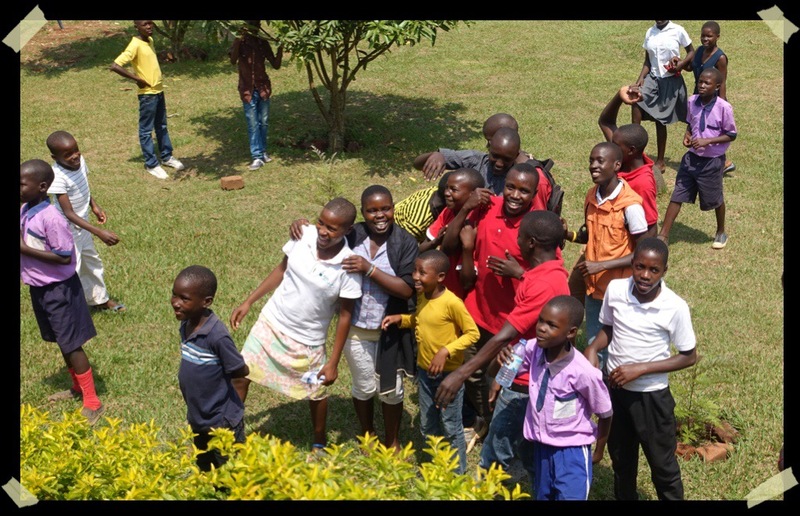 At Hope for Youth, we received the usual warm welcome and lots of hugs. What a delight to see some of the kids I have known for about 7 years. Some of the fellows who danced for me at age 8 are now 16 and in secondary school. We remembered each other and relished the short time we had to visit once again. And I promised that I will return. 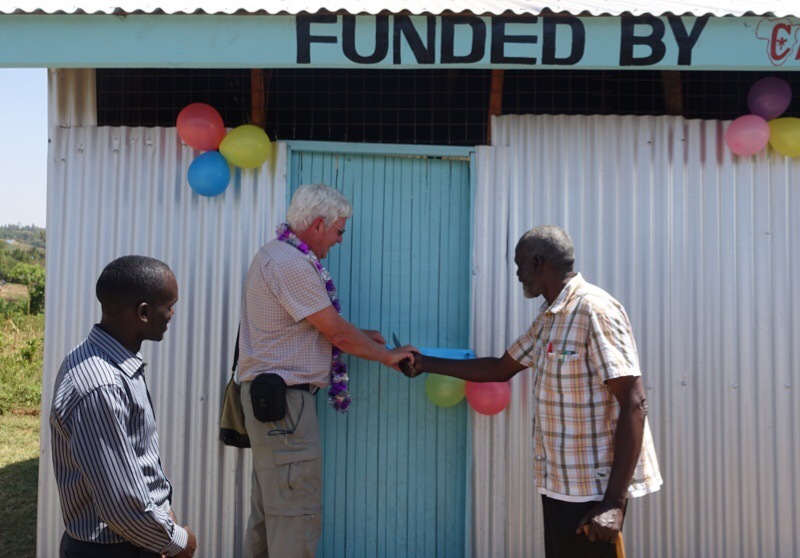 We cut the ribbon on a wonderful teachers’ accommodation building which will also have a health/first aid room. Thanks to the Green , the Sasamat foundation and to the benefactors who attended a fundraising dinner in Nanaimo last February for making this possible. It was fitting that the last musical entertainment we had from students (we had a lot over the two weeks) was a blessing from them to us. We all left East Africa feeling truly blessed by the opportunity to visit that we had with ten very different associate communities and are safely home – jet-lagged, adjusting to winter temperatures but hearts warm from our safari to spend time with our global family. 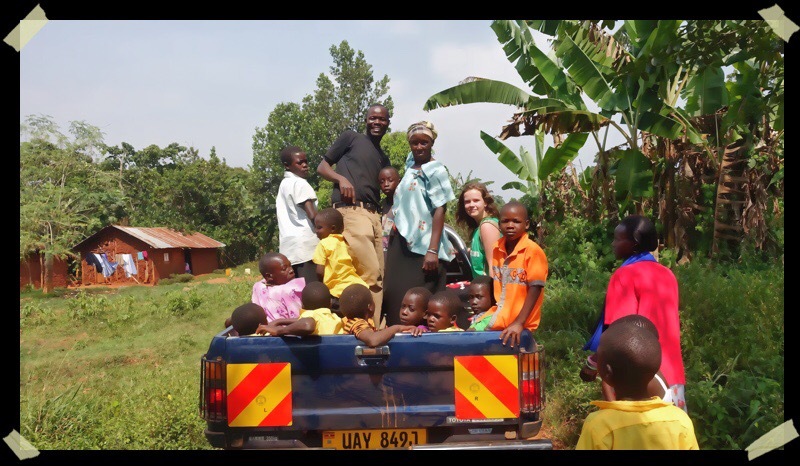 We were not deterred by bumpy roads to the Busagazi School on an island in Lake Victoria between Jinja and Kampala, Uganda. 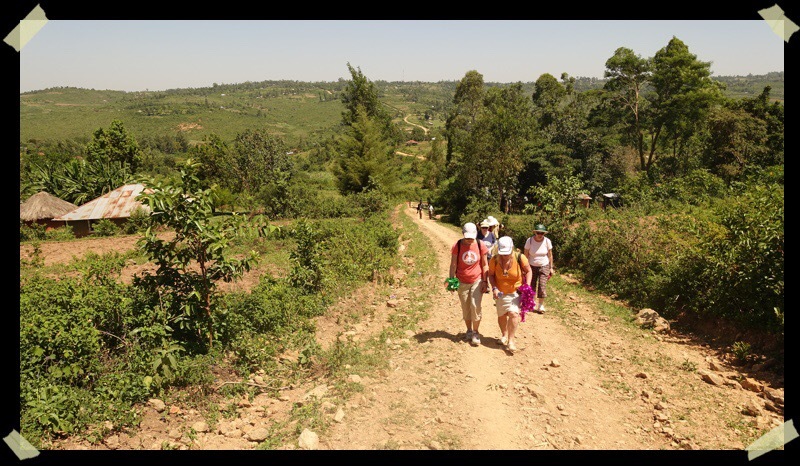 We had to alight from the truck and walk the final kilometer or so up a dusty red road to the school site. In the last few months we constructed two classrooms at this school where only one existed before… to serve about 600 students. Since we came on board to help, another Croatian organization has also constructed classrooms. 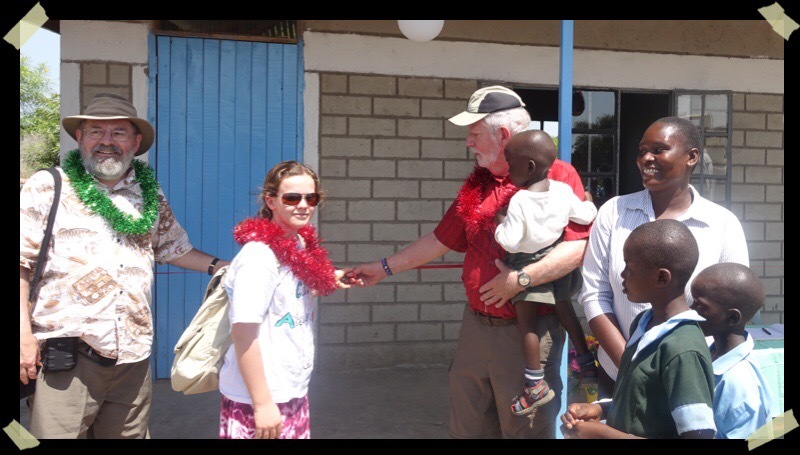 We were warmly greeted by the community even though our visit coincided with a school holiday. An enjoyable day, all in all, drenched in colour and joyful community celebration. 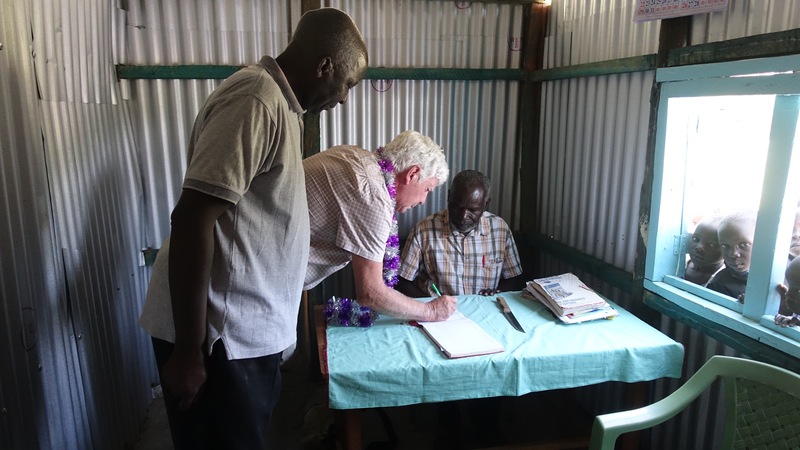 We signed an MOU at the school to provide 48 desks for the new classrooms. Safari 2016 Part 8. Ramula district. 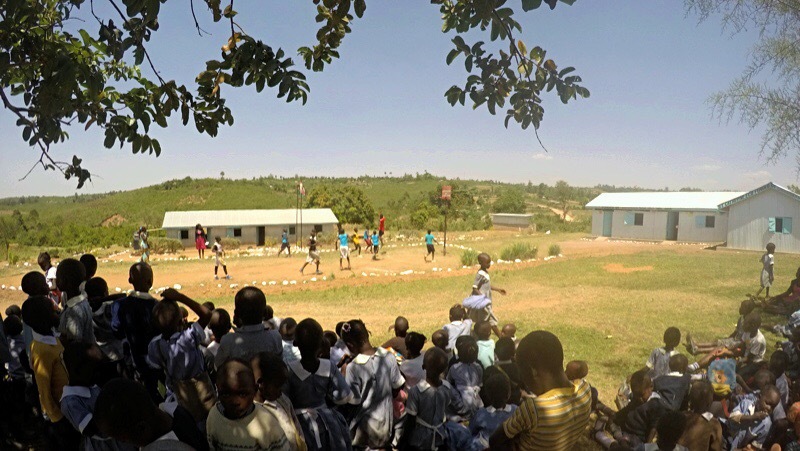 Near the town of Ramula in Siaya District of Kenya, CanAssist has been working to provide infrastructure improvements to two schools – St. Catherine Early Childhood Development Centre (150 students) and the Ramula Secondary School ( 100 students). We received rousing welcomes at both schools. Last year at this time the St Catherine School yard was an empty field. It has been amazing to see the growth. 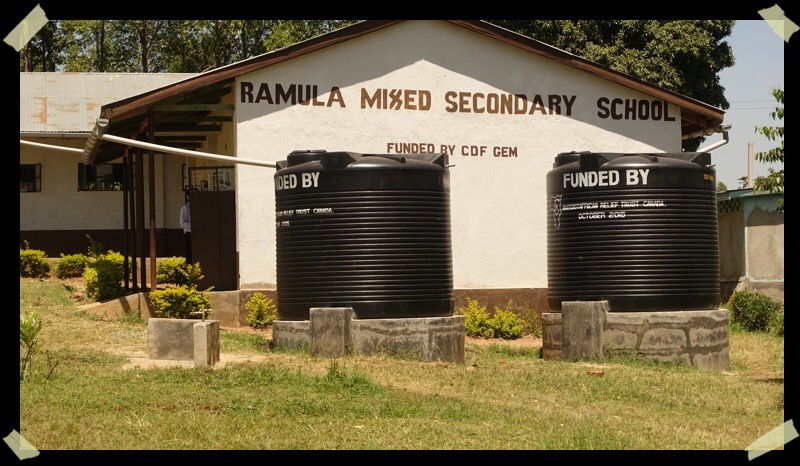 For Ramula Secondary, we provided much needed water tanks that have been very much appreciated. St Catherine School is a 30 minute hike into the valley. 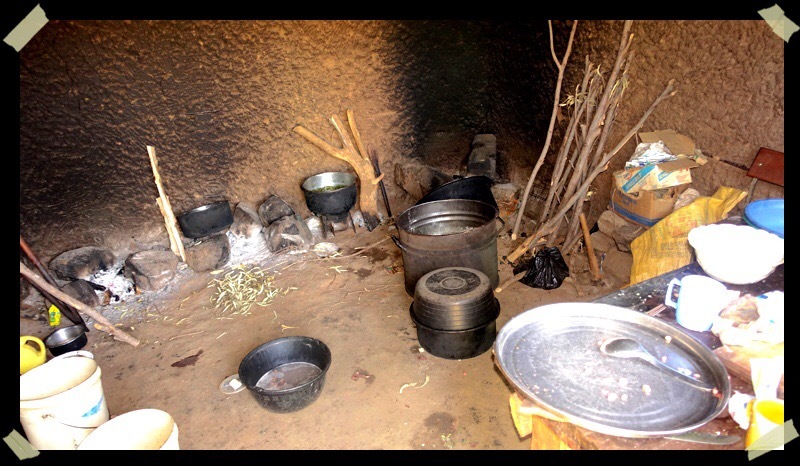 This is the “kitchen” at Ramula Secondary School where lunch is prepared for 100 students. 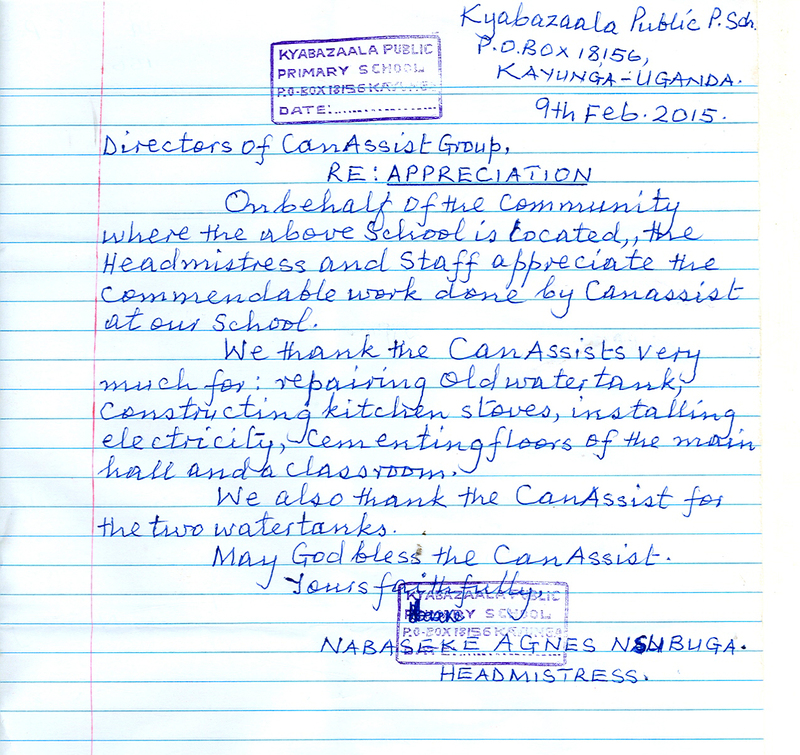 CanAssist plans to soon upgrade this kitchen. I have been excited to introduce my family to the S.P. 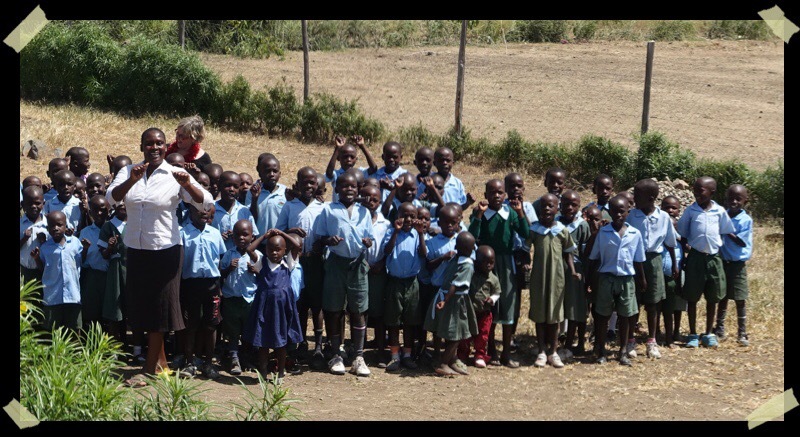 Geddes School in Osiri Villlage, Kenya and have them meet little S.P. who was named after my late father who generously supported the school through CanAssist as it was beginning. I also was delighted to introduce the school to Dad’s great granddaughter, Maddy. Here are some photos of the visit. i know Dad would be delighted that my brother Bob, his wife Lynne, his granddaughter Jenn and great granddaugher , Maddy were all able to join me in a visit to the school that bears his name. Maddy and little. S.P. enjoying lunch ag the school. Asante Hugh Langley for the photo. 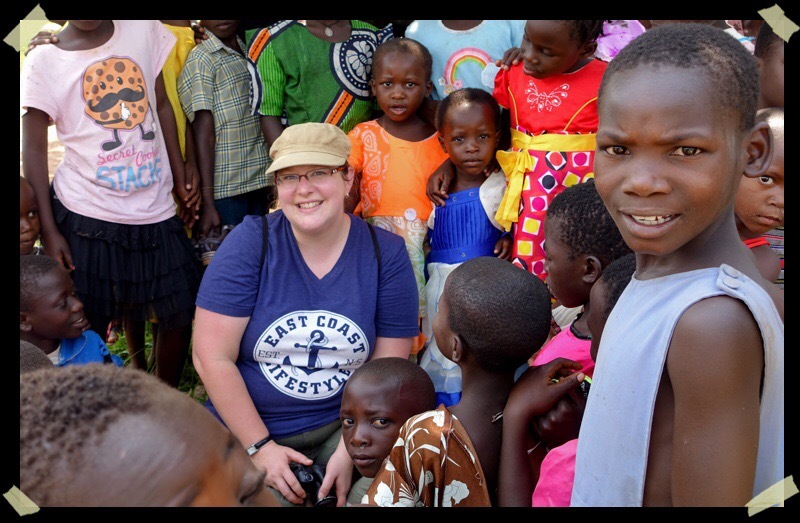 I started today with a delightful email from a school in rural Uganda that we are helping through the CanAssist African Relief Trust. 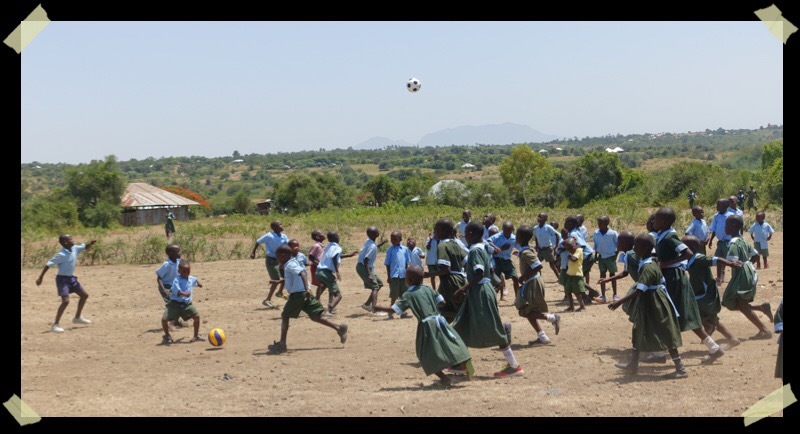 At this remote area near Kumi, the community is trying to improve educational opportunities for students of secondary school age who have no local school to attend. 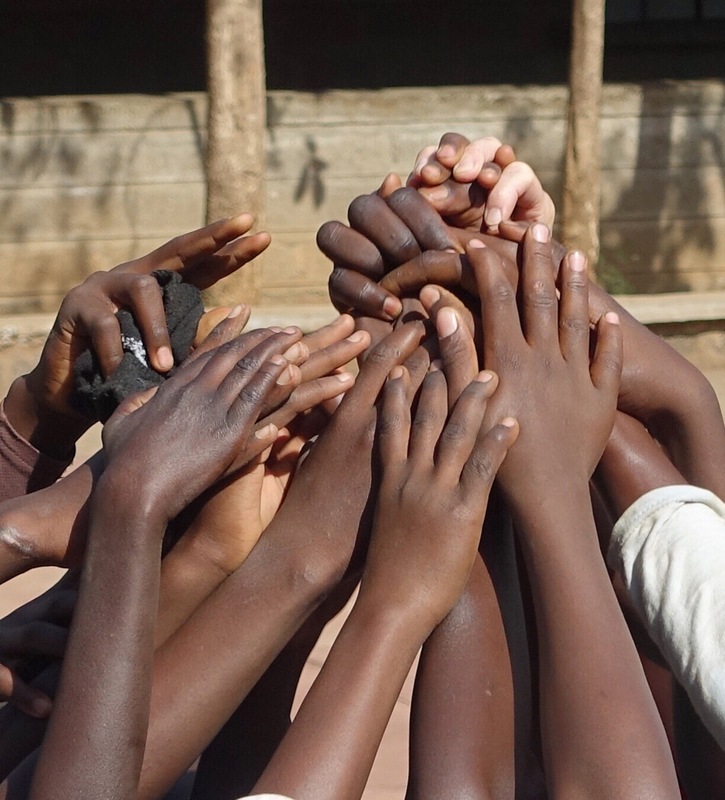 In Africa, most kids who go to secondary school, attend boarding schools. This is deemed to be a better education as the students are kind of corralled at the school and not as easily distracted by other activities or even household duties demanded of them when they are at home. For girls this is also thought to be more important so that they are not subjected to sexual advances or even abuse. Unfortunately the cost of attending a boarding institution is prohibitive for many. 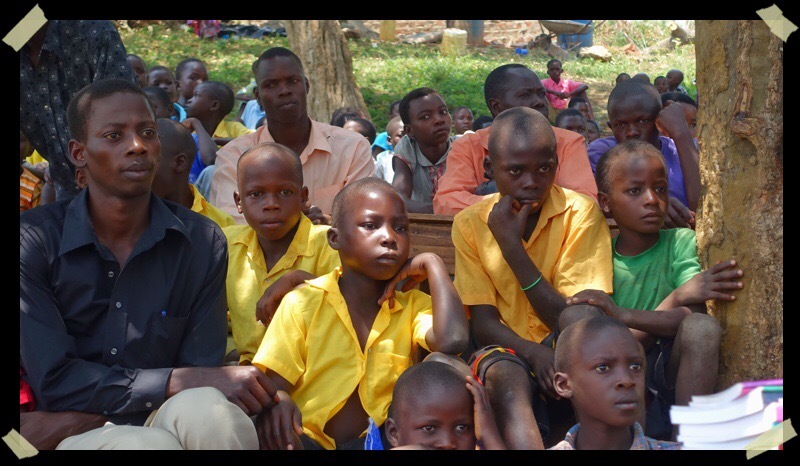 In some communities there is an attempt to provide day schools when boarding facilities are not close by or out of the financial reach of so many. Students attending these schools sometimes feel like second class citizens. When I visit them I let them know that day schools are by far the most common form of secondary education in Canada and are by no means inferior. Parents and community members at Kadok are trying to build up classes for teens in their district. They are quite prepared to sacrifice to have their kids become better educated. 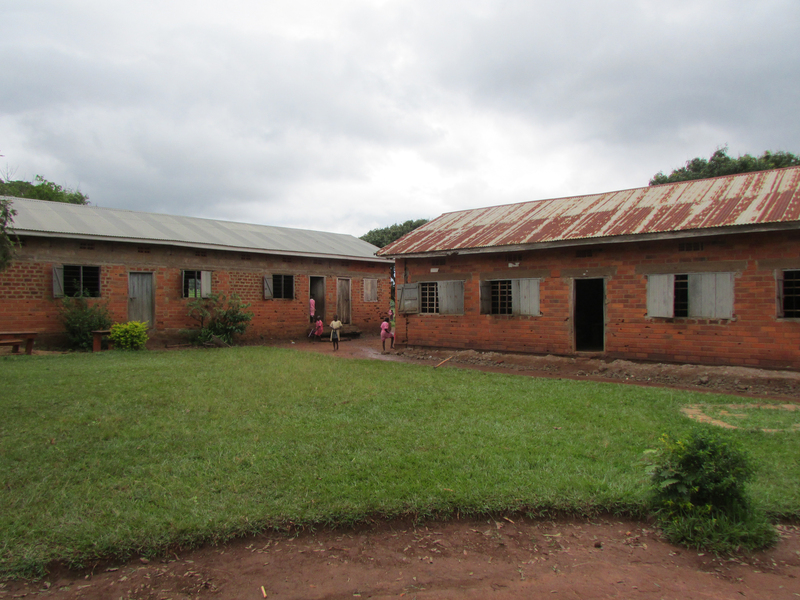 The school operates out of some temporary buildings and rooms at the back of stores along the village street. These are the deplorable sanitation facilities previously the only accessible toilets for the students at Kadok Secondary School. They have had no sanitation facility that can be used by the students at the school (or by others who live along this street or frequent the village for shopping). CanAssist is building latrines to help with this deficiency and hopefully improve sanitation for both the pupils and the community. This progress report is a real treat to me and I hope that our supporters find it equally delightful. This is only one of many projects currently underway with CanAssist funding. 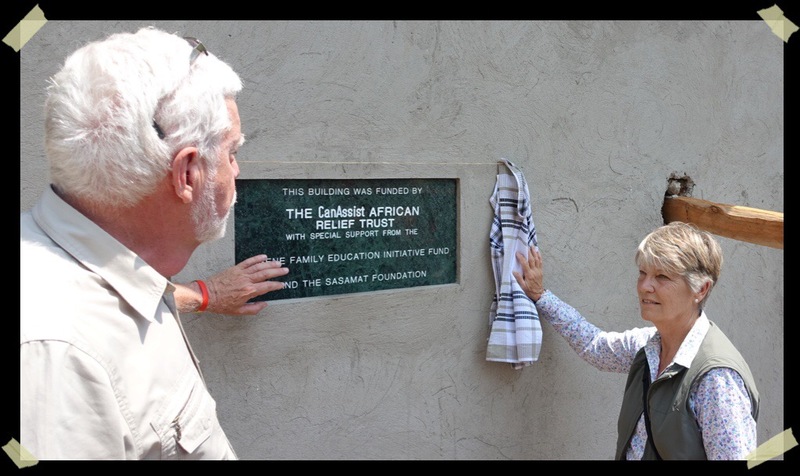 The work for community projects like this one is all done by hand. And with bare feet! In July, CanAssist mounted a challenge to our donors and were excited with a response that netted over $20,000 in donations, a number that will be matched by the Sasamat Foundation in Vancouver. 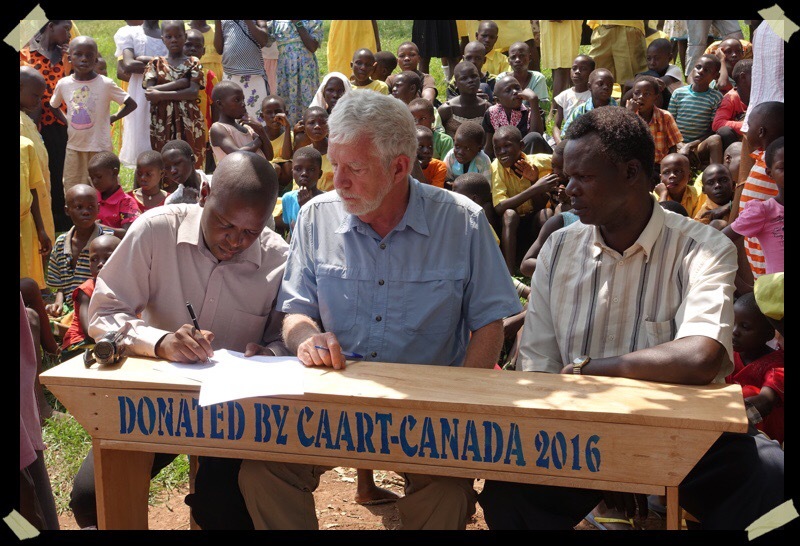 The Kadok school will be the first of many communities that will benefit from these gifts to CanAssist. They have already received half of their allotment and today sent photos of the progress so far. Notice that the work is all done manually and with no access to safe work gear. During the digging of the pit, the bedded rock got blocked reducing the speed of digging. 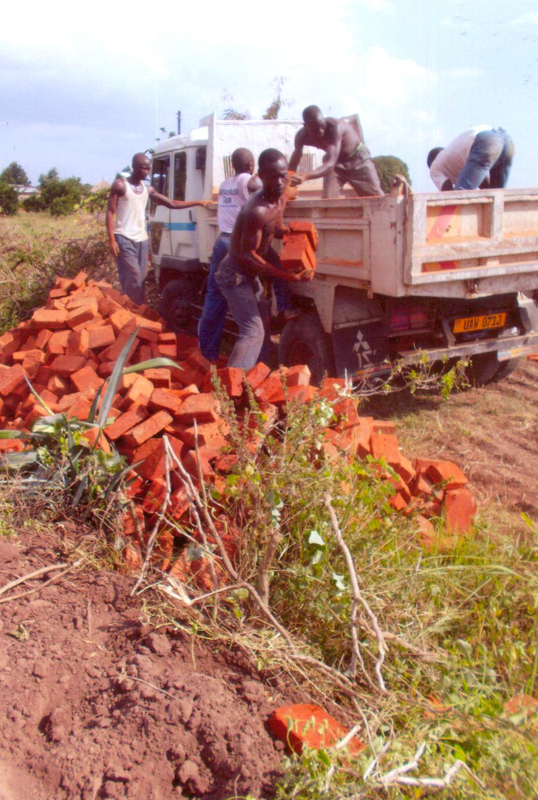 Also trucks could get stuck on muddy grounds as we were ferrying building materials. It took time for the beam and Nero cement to set. Extending days to put the slab since its rainy season. There is overwhelming feelings and support from the community. 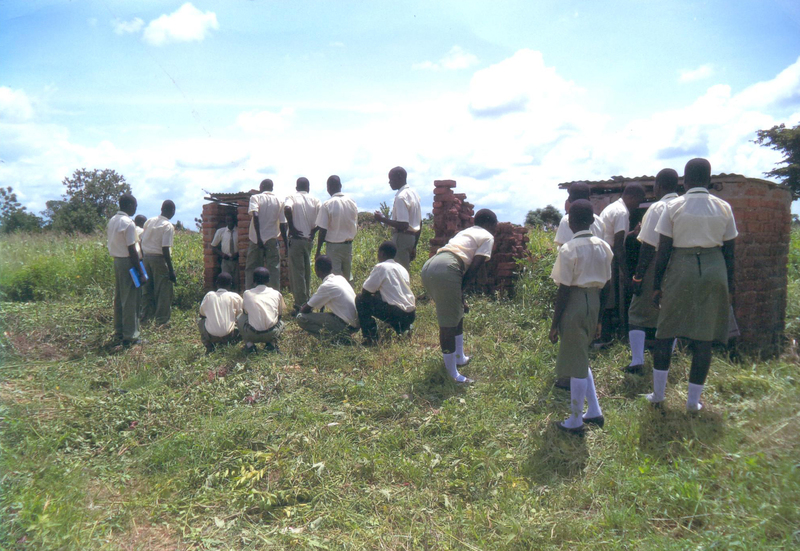 Community has donated more land for the expansion of the school. There has been continuous increase in enrolment of students. Things are moving ahead. 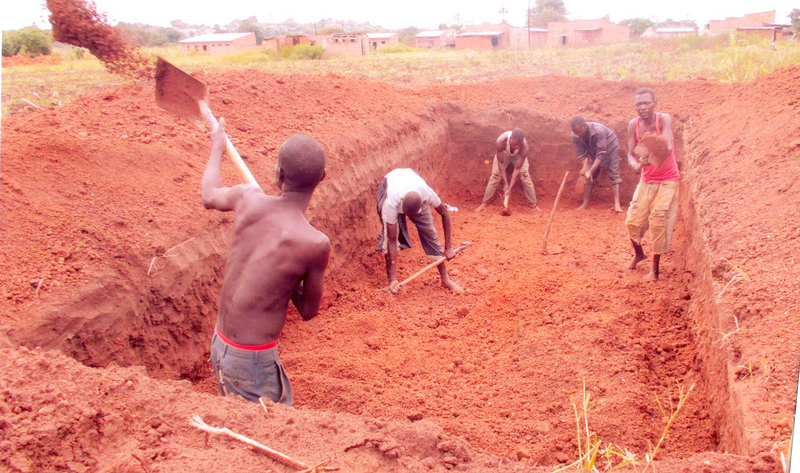 Labourers in the community are being provided with some small work, construction materials are purchased locally and eventually the community will have toilets for the first time. Thank you to our CanAssist supporters – feel good about what you are doing to help. 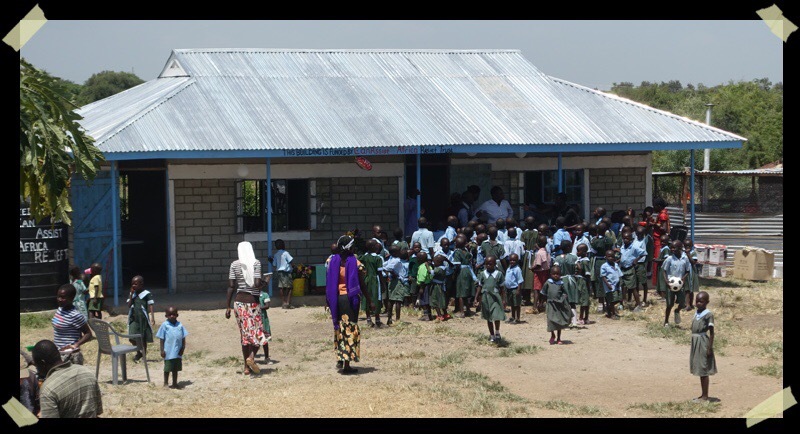 CanAssist African Field Representative, Daniel Otieno visited the school in May 2015 to confirm project details. Sometimes it is easier to turn a blind eye to poverty and suffering than to do something about it. In Canada, because we have social assistance programmes funded by our various levels of government, we tend to let others provide the help rather than deal directly with the people in need. Do you know that a single person receiving social assistance (we used to call this welfare) only gets about $650 a month to sustain them? Could you find accommodation, food, clothing, and transportation for that? How could you find a job if you have no phone, or a computer connection to communicate with prospective employers, or transportation to go to an interview? If the social assistance recipient finds even a part-time job to supplement his/her income, that money is deducted from the social assistance check. This must remove incentive to find low-paying work, often the only jobs available. Now … imagine what it is like in much of sub-Saharan Africa. There is no government social assistance, or employment insurance, or social security, or pension plan. Unemployment rates approach 40% in Kenya (in Canada is is 6.8%) and the food inflation rate in Kenya in 2014 was 8% compared to ours at 3.9%. 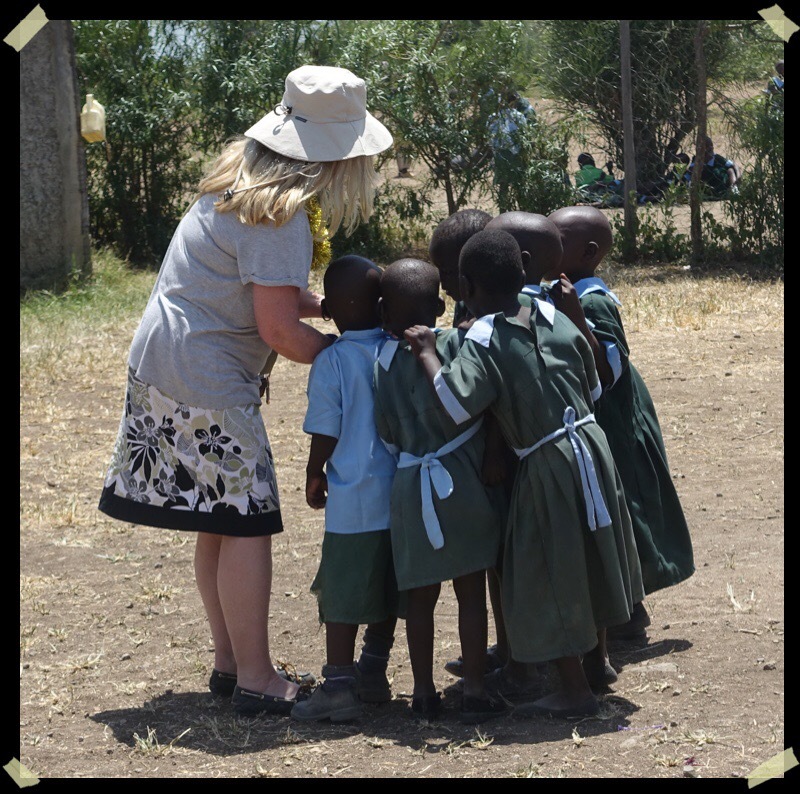 Although primary school education in Kenya is claimed to be “free”, many families can not afford the required school uniforms, or additional payments needed to support poorly-payed teachers. Classrooms may have sixty or more pupils per teacher, no desks, and no books. The burden of illness in much of Africa from infectious diseases like tuberculosis, malaria, AIDS and ebola far outweighs ours. In Kenya, one child in fourteen dies before the age of five and the chances of a woman dying of a complication from pregnancy is 1:250 compared to 1:9000 here. Despite their poverty, patients are required to pay a small user fee for health services and medications are often not available or too expensive. Those of us who have visited communities where this is the situation come home wondering what we can do to help. This is poverty beyond what we, in Canada, can comprehend. When faced with these overwhelming statistics, it might be natural to feel sorry but give in to the thought that the problems are just too great and vague for individuals like ourselves to do anything about it. Let me tell you about one Kingston family that decided to help. Thomas and friends enjoying a filling lunch thanks to Canadian friends. 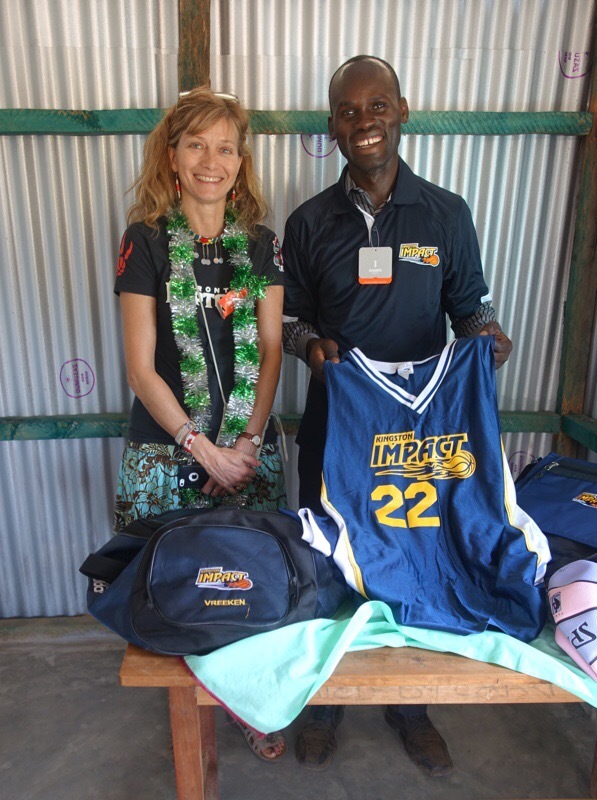 Last year, Marcia O’Brien, her two young sons and her mom, Gabriella Zamojski traveled to Kenya. 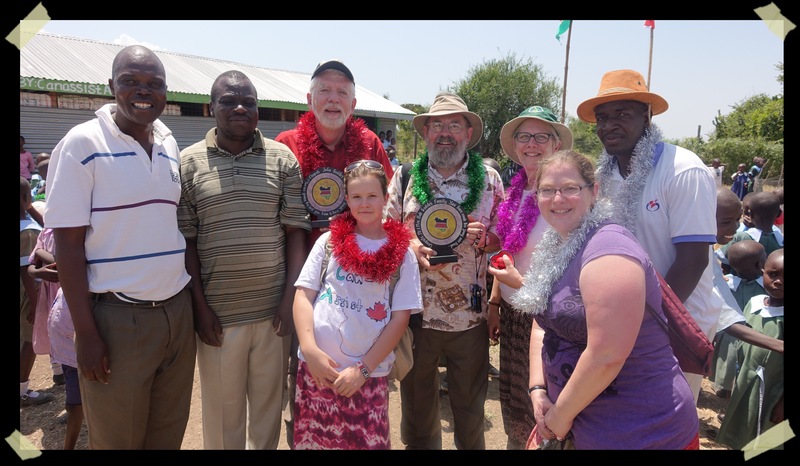 During their trip, they visited some rural community schools supported by the CanAssist African Relief Trust. While visiting the S.P. Geddes Early Childhood Development Centre in Osiri village, they were impressed by how the community was attempting to provide early education to the young children at the school. 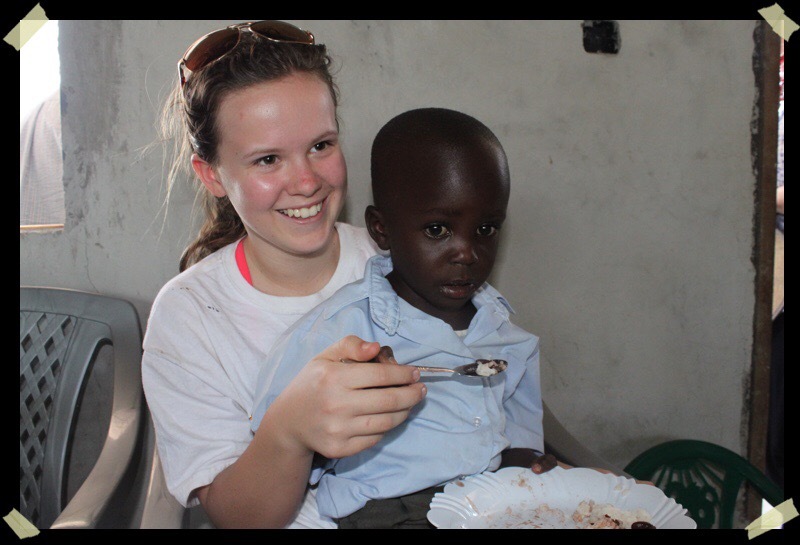 They also saw that many of the pupils (and teachers too) come to school hungry. One young fellow named Thomas caught their attention and represented the rest. His father is deaf and mute and his mother had died the day prior to their visit to the school. Yet, the child was at school, is best opportunity to receive some caring and support. He was, like many of the other children, hungry. The image of this child haunted Marcia and Gabriella for months after they returned home. They decided to do what they could to help Thomas and the other children at the school. 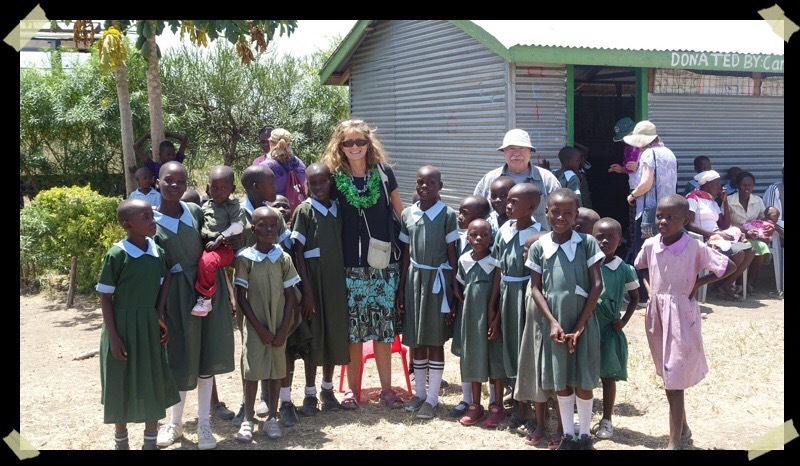 In February, I took money from this Canadian family to the school in Kenya to start a weekly lunch programme. CanAssist bought plates and spoons, the children will bring sticks of firewood, parent volunteers will help stir the pots and serve the food and their Kingstonian friends will provide $100 a month, money that will allow the school to feed 120 kids a nutritious lunch once a week. Although it may be tempting and more appealing to our hearts to provide individual help to one needy child, at the CanAssist African Relief Trust we believe that by helping the community with infrastructure like classrooms, clinics, latrines and water tanks, we are contributing to the well-being of many rather than just a few. 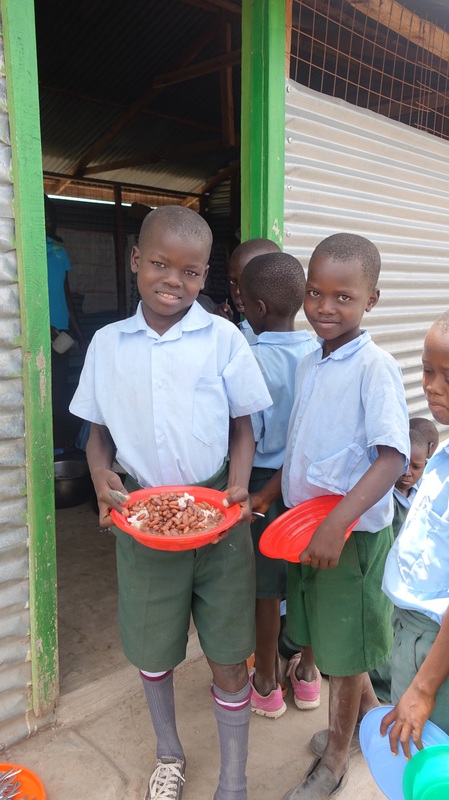 Marcia and Gabriella have also adopted this stance with their direct donation to the Kenyan school to feed the whole group, even though their hearts were particularly touched by one student. What can you do to help? 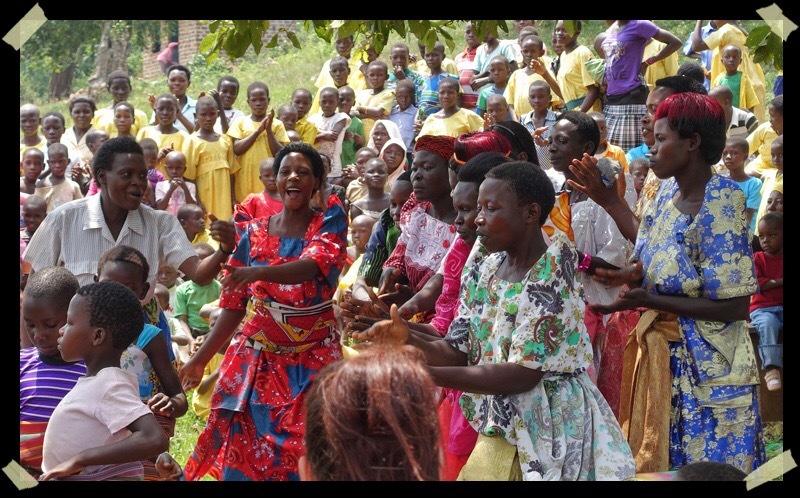 Realize that your support, however meagre it may seem in the big picture, does make a difference to the people in need who live in our own community, or to those who are even more impoverished in developing nations. Every individual effort helps. Combined small contributions add up. Believe it. You can assist. Little S.P. 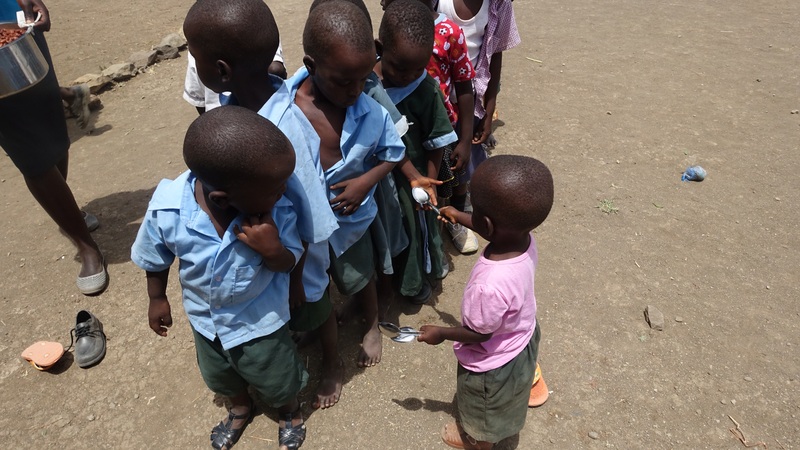 hands out spoons to the children lined up to get their lunch. Portions of this article was printed in the Kingston Whig Standard on Thursday April 9, 2015.